One of the saddest things to experience is the closing of some of our oldest and most beautiful Catholic Churches. These older churches are some of our most magnificent in terms of architecture, theology and faith coming together. Most of these beautiful structures which are closed have succumbed to the wrecking ball. But some of them live in strange and often painful ways, becoming performing arts centers, condominiums, restaurants, and other various secular purposes. I recently ran across a couple of “then and now” videos that struck me to the heart with sadness. The first video below is from 1944, a Solemn High Mass in St. Vibiana’s Church in Los Angeles. The Church is packed to the rafters with people at a Christmas Midnight Mass. The choir sings, the incense rises, and clergy pray in Latin and Greek. The scene closes with people flocking to the altar rail for Holy Communion. The second video shows St. Vibiana’s today (now called “The Vibiana”). It is now a performing arts center and a marketplace. The video shows the vendors along the interior selling wine and scarves and other such things. The high altar where God was once worshiped, and which was home to the Blessed Sacrament, looms in the background, now a mere backdrop for shoppers, dancers, and actors. The confessionals, where once absolution was granted and mercy celebrated, are now storage closets. 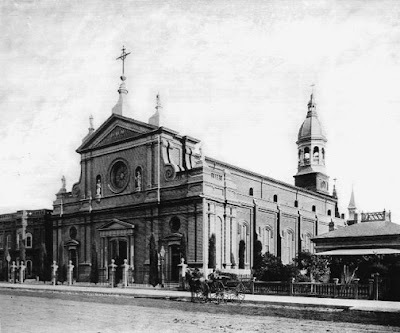 The story of St. Vibana’s is perhaps more well known than most, for it was once the Cathedral Church of Los Angeles. Built in 1876, it was damaged by an earthquake in 1994. The Archdiocese of Los Angeles had long considered the building (which seated 1200) too small for its needs and had wanted to build a new Cathedral. Hence it was decided to tear the damaged building down. But a coalition of Catholics and preservationists fought to save the building, and the City took possession of it. Meanwhile the Archdiocese went on with plans to build the current, new Cathedral, dedicated in 2002. Eventually “The Vibiana” was sold to a private developer who now rents it for various functions. This same story is at work in other cities too where beautiful, old Churches, now have secular uses. At some level, one can rejoice that the wreckers ball did not swing. But at another level it is troubling to see once sacred buildings used in this manner, and there is the thought that maybe the total loss would have been more dignified. I don’t have simple answers. We have discussed before the severe decline in Mass attendance and other demographic shifts. But after all the discussions, what it ultimately what it means is shown in video 2 below. Granted, St Vibiana’s closed for reasons other than low Mass attendance, but in other cities it is low attendance that is the driving force behind the closings. A tale of two videos: then and now. What do you think? Has St. Vibiana’s survived now that she is just “The Vibiaba?” Or is this a fate worse than death? What uses have you seen of some the surviving, but closed churches in other cities? We have this problem in New Orleans, which has been made worse by Hurricane Katrina. There are no easy answers. A similar thing happened in Cleveland, OH. Saint Josaphat Church was a Polish parish which closed in the 1990s. It’s now “Josaphat Art Hall” and is used as a gallery and performing arts venue. In Georgetown, CA, the former Catholic Church is an antique store. And in Coloma, CA, St. John Catholic Church is part of the Gold Discovery State Park. It is preserved as a church, though. Can churches be de-consecrated by the Church? This is sick. If there was leadership, even if the churches couldn’t operate as parishes, they could still be retreat centers or serve the spiritual needs of the arch/diocese. And when they are abandoned, closed or sold off . . . millions will be spent on expressionless barns that fail to express any of the beauty of the Faith or Her King! Hypocrites! How long will the bishops fail to be true shepherds?! Well, I agree, that’s the other aspect of this problem, modern Churches are often seriously deficient. Let’s not even talk about the new LA Cathedral, but the word sterility comes to mind. However, that trend is beginning to change, I recommend Dennis McNamara’s latest book on Church Architecture. You do realize, Monsignor, that the older video is not just a depiction of Christmas Mass in 1944 but is in fact a scene from the Hollywood film, “Christmas Holiday” so the choir and, very likely, the pews packed with people were all “staged” for the film? My understanding is that the footage is real, though some of the cut-outs like the closeups of the face of the actors is spliced in. I have often thought that there should be no Catholic church that is closed and sold, they should be torn down before the land is sold, simply to prevent terrible things from happening to them. In Denver there is an old Catholic church that is now a night club called “The Church.” I nearly wept when my friends told me about it. And it is also displeasing to see Prots and other heretics move into such placed and spread their heresy in the same building which Holy Mass was once celebrated and a building that was witness to countless absolutions, baptisms, confirmations etc. At the very least they should remove the altars from these churches if they are sold. Yes, that is view is certainly consistent with some of my concerns. The historical preservationist in me hates to see the building go, but the Catholic in me balks at secular or other sectarian uses for old Catholic churches. The Church club in Denver is actually a former Episcopalian church, once known as St. Mark’s. Also one reason older churches are abandoned is because housing law forbids real estate agents from considering their clients’ religious preferences when they house-hunt. Under “fair housing laws,” you can’t even advertise if a house is near a church or a religious school! Hard to say how major an effect this law has had on church-centered neighborhoods, but I’d like to see this changed. Imagine the possible boost in community if more people lived near church! As a youth I went nightclubbing at The Limelight in New York, a former church converted into a dance club, and was always troubled by the experience. If anything, the memory kindled a greater sensitivity toward the profanation of sacred architecture, and appreciation of the importance of respecting the faith and work of those who built and worshipped there. I believe that it is a crime to let our beautiful churches fall into disuse, but that even deconcecrated, they serve as a testimony to our faith, a reflection of it’s beauty, and a reminder of the reverence and humility of the faithful. I never went, but I believe there was a similar Limelight in Chicago in the 1980s. The Limelight on 20th/6th avenue in NYC is now the Limelight Marketplace. It’s actually quite lovely inside. It’s a rather jarring experience, though, buying ice cream where a side altar might have been. Ditto for Detroit. People started moving out to the suburbs and the vast majority of the churches in the burbs are just plain ugly. If you put things in perspective though, the very first Christians had the catacombs – so it could be worse. One of my passions is photographing churches and I’ve been busy photographing the churches in the Cleveland/Akron area for the past couple years, trying, sometimes futilely, to capture the ones that are closing before they do so. My time is limited, but I’d like the opportunity to photograph churches in other cities as well that may be suffering a similar fate. I’d appreciate hearing about any upcoming closings. Thanks for this work. Have you considered publishing the photos? If it makes you feel any better, the building in which the Lutheran parish in which I grew up was located is now the Theodore Cardinal McCarrick center. Yes, but isn’t the Church still used for worship (the Mass)? I am not entirely sure that, a Lutheran, that utterly pleases you, but I also know that you attend Catholic Mass as well. What happened to the Lutheran Parish that was there? It certainly doesn’t bother me that Mass now is being celebrated where I worshiped for 3½ decades (unlike the uncharitable “martin the sinner” who apparently puts non-Catholic Christians in the same category as strip-club owners). In fact I’m quite pleased that the Archdiocese is putting the building to such good use. Gee, I wonder what changed from the 1940s to the 1990s? I guess human nature must have gotten worse or something. It couldn’t have anything to do with ruining people’s experience of Catholic worship. That is certainly part of it. But you like to boil everything down to liturgy and the loss of the TLM. But seriously, you must know Ryan that a few other things have been going on too: e.g. Cultural/sexual revolution. That the Protestants, Orthodox, Unitates, Orthodox have all been similarly affected by much lower attendance indicates something more than the liturgy. That said, I do not deny that the sweeping (non-organic) changes of the Mass at that time did not help. I would much prefer to see the beautiful old churches be destroyed rather than turned to profane use. I wish there were a church law that prohibited them from being surrendered in recognizable form. Monsignor, you need to understand that “Uniates” is a derogatory term. You choose not to call the Orthodox “Schismatics” or the Protestants “Heretics”; you should likewise not insult Eastern Catholics. So what would I call them, collectively speaking? Perhaps as an exercise you should actually speak with some and ask what they prefer to be called rather than merely repeating what you hear on the street. There are 23 Independent Churches that make up the Universal Catholic Church — 1 Western and 22 Eastern. Out of the 22 Eastern Churches, the “Antiochan Syriac Maronite Church” is the only one that has no Orthodox counterpart that split from it. I usually use the team Eastern Catholic Churches. They are an integral part of the Roman Catholic denomination. I was taught that Uniates is a derogatory term usually used by Orthodox Christians to imply that these independent churches sold their heritage to Rome. This, of course, is not true. the only thing that i can offer up…. although i live in a suburb of detroit i make a commitment to attend (45min. drive) to an inner city parish and attend mass there. This might be against the rules to go outside of one’s geographic parish but i try to support the beautiful 130 year old church. I understand that we should belong to a faith community, parish, and stay active in it,but what more can i do?? II don’t think there are any rule in this regard today. Glad you support the older the Church. It is now a “cultural center” and from what I understand only used about once every couple of years. Reminds me of a post on First Things last year about how in the coming future we must become small once more to flourish. Reminds me of Revelations, the Gospels, Bl Anna Maria Taigi, St Anne Catherine Emmerich, Bl Elizabeth Canori Mora, St John Bosco, etc… look around. But I agree Msgr, it is sad. The former cathedral of my diocese is now “Sacred Heart Music Center”; the new cathedral — in a better part of town — is not terrible, but it’s still missing something. Meanwhile, I often attend mass in a parish whose worship space is in the basement/cafeteria of its school building (as it has been for decades). 1. Eastern Catholics in union with Rome prefer to be called Greek Catholics or Byzantine Catholics, I believe. In the mouths of at least a few Orthodox, uniate is almost like the :”n” word and is spit out with derision and hatred. .
2. I always think of the Philip Larkin poem about how in the future people will stop by ruined and abandoned churches and wonder what they were for. But there must be a way to approach the viability of a parish differently. Chanceries come up with bench marks, e.g., a parish must have at least 400 families, etc. While it must have been something in the days of yore when here in Jersey City with a huge pile of a neogothic Church on every corner, masses would be standing room only from dawn to noon, the fact that this is radically altered, does not mean that these buildings are not viable. Somehow, protestant congregations remain as funcitoning units with much much smaller congregations. I know of Episcopal churches with under 100 families that are doing very well. Also, having undertaken two renovations of broownstones that were abandoned and awaiting the wrecking ball, the preservationist industry/construction industry has to be taken with a large dose of scepticism. Many, many times, these buildings can be maintained/restored for much less than the quoted figure. No church in the northeast needs airconditioning. There are at most a handful of hot Sundays in the year and if you can’t take it, just go to the 7:00 am low mass. Also, you really don’t have to heat a church that much. Like our ancestors, just leave your coat on in January. Also, these buildings do not need fancy sound systems. They were built (with admittedly varying degrees of success) so that the unaided voice would be joined in worship or projected in instruction. Also, these buildings do not need theatrical klieg lights. The chiascuro is part of the beauty. Also, there are federal funds available for the retoration of the facade. 3. The music in the video sounds aweful to me- treacly and without beauty. I am often struck by this in old videos. Even masterpieces sound all wrong- Palestrina done way to slowly and way too sloppily. Partly, it may be the qulaity of the recording. Also, at TLM choir I am involved in we had two directors who repeatedly imposed on us the most abominable compositions from the 1920s and 1930s. No one has ever heard of these composers and for good reason. When I hear this, I am convinced that David Goldman (previously as “Spengler” and now at First Things, nothwithstanding his bizare connecetion to the musicological theories of eternal presidential candidate LaRouche is correct when he asserts that the Caecilian movement was a disaster. Many comments of the Holy Father as well as his actions suggest strongly that he agrees. Somewhat along the same lines, although not as severe since they remain churches, is the “renovation” of older churches in order to “modernize” them. One church in the city where I live is over 150 years old and was renovated in the 60’s, apparently being carried away with the “spirit of Vatican II”. I can’t help but be disappointed when I look around the church – walls plastered over (i’m sure covering beautiful artwork), relocating the tabernacle off to the side, etc. Again, not as bad, I suppose, as making a church into a music center, museum, etc., but a tragedy nonetheless! What about the beautiful churches that have been saved? Let’s not forget those! I may be wrong, but I think St. John Cantus in Chicago was in very bad shape when the current priests acquired it and began their ministry in renewing the liturgy. I am extremely ignorant regarding the specifics, as this is not first hand knowledge, but I remember attending there about twenty years ago and the place was in disrepair. Now, it’s gorgeous through and through, from the walls to the liturgy to the vestments to the choir to the youth that are on fire for life! I think Opus Dei has also saved a downtown Chicago church… St. Mary of the Angels? This makes me sad. But the most disturbing I have seen was a church in England – I don’t know if it was Catholic or Anglican, but it was old and beautiful. It had been de-consecrated and sold. The new owners were a gay couple who made it into their house. Their bed was in the spot the altar had stood. I don’t’ remember any other details – exact location, former name, where on the internet I saw it, etc. It was very distressing to me. Well, I live in Los Angeles. The old altar is in the new cathedral (in the basement). And at least by being restored there is some hope the old one may be restored to Christian worship one day. Heck, we even have a Catholic archbishop here now so anything is possible. I drove past here the other day and was glad to see that the cross was maintained on top of the old cathedral. Demolition would not have been a solution but philistinism. The good news is these churches can be reconverted if we are! Once a shopping centre – allways a shopping centre. Churches should be de-concecrated, demolished and the ground burnt with blessed fire, before handing the soil over to the money-changers. Or better yet, remain churches for eternity. Leave the money-changers nothing what so ever. In Worcester Mass. several churches have closed recently. One, in the heart of downtown, was the scene of a fight to keep it open in 1970 when urban renewal brought a shopping mall in, which replaced urban blight in the area. The planners wanted Notre Dame church gone, because it “didn’t fit with the ambiance of a shopping mall”. Catholics rose up, donated, fought in court, and the church was saved from the wrecking ball. The church was beautified, and drew many noon and five o’clock worshippers from workers during the week. It’s outdoor statues and architecture were a lovely oasis on the busy street, where it stood next to the huge mall. Alas, the mall itself went out of business in the 80’s, later reopened, and went out of business a 2nd time ten years ago, and is closed still, itself awaiting a wrecking ball to abolish it’s now defunct character. And the church still stands. But in an ironic turn of fate, this beautiful church, which outlasted urban renewers’ plans and all secular hostility, has itself been closed by an act of the local bishop. Due to low attendance, aging and overcommitted priests, drained bank accounts, and urban flight, the parish was consolidated with another parish, and Norte Dame church will be torn down. What the world could not do to us, we have done to ourselves. It’s true many so-called “Mainline” denominations have also lost attendance steadily over the last 30 years, but this trend seems to most prevalent among the more socially liberal branches (such as my former denomination, the Episcopal Church). More conservative, traditional-minded groups (particularly “non-denominationals”) have seen tremendous growth during the same period. I look forward to the day when many of these Catholic churches that have closed will be filled once again. Sad. I get a sick falling feeling in my stomach when I saw the second video. What a horrible thing. It is like looking at the defaced Hagia Sophia. Upon viewing a lovely lady at the funeral parlor, a fellow remarked, “What a beautiful woman!” His fellow mourner immediately responded, “Yes, but beautiful or not, she is still a corpse, rest in peace.” We bury the dead. This was a place of worship, not a marketplace. Before such desecration, I would have prefered the earthquake had reduced it to dust. I thought this destruction of old and beautiful churches was only happening in the UK and Europe, one cannot exactly take comfort that its taking place on the other side of the pond as well. I used to live in a town that had a beautiful Victorian church which had been built shortly after the Catholic Emancipation Act had been passed in the 19th century. It was designed and built by a famous Catholic architect, Pugin, beautiful, with wonderful stained glass windows. Unfortunately it was on a very commercial site. It was sold, knocked down and a Tesco Supermarket now stands in its place. We got another church in a different area. It is modernist in the extreme. The walls are stark white with a rough finish, and the whole of the top is glass. Green wooden bars run between the panes and also across between the walls at the level where the glass roof starts. There was no organ (one had to be put in) and an area for the Blessed Sacrament facing the front door, the body of the church is to the left of these two points. I know it was consecrated, and the Holy Presence was there, but the building always seem such a cold, utilitarian place. I’ve been travelling the last few days. While on the plane, I had a chance to read Theological Highlights of Vatican II, by a brilliant young priest who served as a peritus (advisor) to the Council, namely, Father Joseph Ratzinger. In that book, which discusses his personal observations and conclusions about each session of the Council, Father Ratzinger has some interesting thoughts about the state of the Church before the Council — and how it was not only necessary, but a grace from God. Of course, I doubt that the “Vatican II is to blame for everything” so-called traditionalists would like what he wrote. This is a great post. I attended Mass at St. Vibiana’s not too long after the earthquake and I was struck by how neglected it was. Pitiful. As the lobbyist for the National Trust for Historic Preservation and a Traditional Catholic, I have my biases here, but old, wonderful churches can be saved and saved for continued ecclesiastical use. It certainly may not be possible in every case, but creative solutions are often forsaken for expediency in the disposition of sacred edifices in the country. Every care should be taken to see that places where the countless faithful have witnessed and partaken of the sacraments are preserved for worship, relocated if possible, or “harvested” so that art and architecture can be used in new Catholic churches receiving the boon of demographic shifts. This is the part of the patrimony of the Universal Church. I have two examples for you. The first is near and dear to me because it was once my grandfather’s church — a shrine to St. Therese — where he believed that saint wrought a miracle for him. Preservationists fought hard to save St. Clara’s on the South Side of Chicago when Cardinal Bernadin sought to close it. 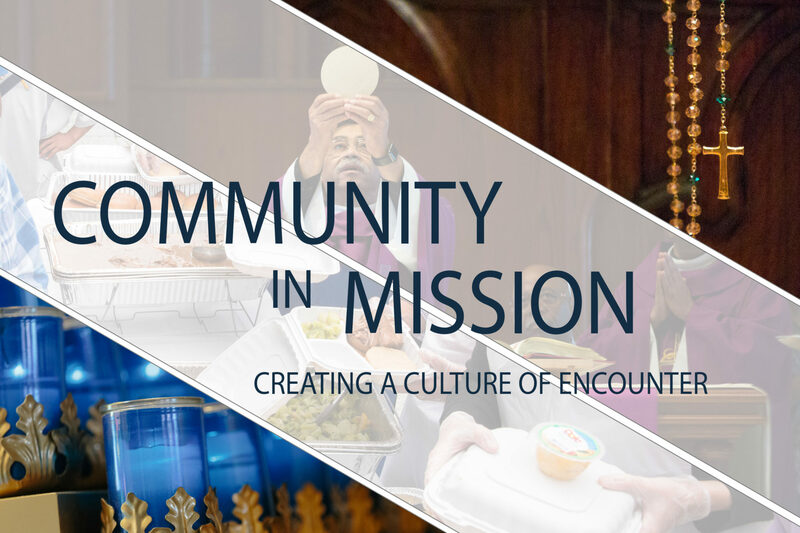 It is now part of a growing and thriving urban Catholic community, run by Traditional Catholics, that is evangelizing unexpected places like the neighboring University of Chicago. This video is terrific. Take a look. The second example is St. Gerard’s in Buffalo. As you know, that city has lost half its population in 50 years. St. Gerard’s — built to emulate St. Paul’s Outside the Walls — was once a thriving Catholic parish, but now it is closed. A growing Catholic community outside Atlanta has purchased the building and is now raising funds to dismantle the structure, its Carrara marble high altar, its mosaics and frescoes, and reconstruct it stone-by-stone in Georgia. The pastor of the community that purchased St. Gerard’s says that he can do this for less than a new church would cost and have something “timeless and wonderful.” I am attaching the statements on the relocation from the Archbishops of Atlanta and New York glowing with enthusiasm for the project. If it can be done in Buffalo and Chicago — it can be done elsewhere. Check it out.